Liverpool FC Foundation can today announce former Reds skipper Steven Gerrard will be making a special return to Anfield for the LFC Legends charity match on Saturday March 25, 2017. The game will see the Liverpool FC Legends take on Real Madrid Legends in the ultimate rematch of the Corazon Classic encounter, which took place in June 2015 at the Santiago Bernabeu stadium. 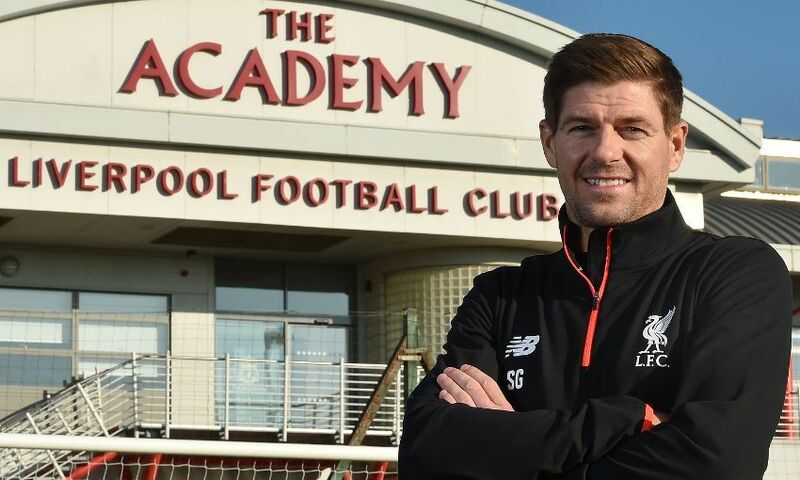 The highly-anticipated clash will be the first time Gerrard has played on Anfield’s hallowed turf since calling time on his playing career in November 2016 and subsequently joining the club as an Academy coach earlier this month. And the former No.8 will be joined by a whole host of LFC icons, including Ian Rush, Robbie Fowler, Gary McAllister, Luis Garcia, Daniel Agger, Patrik Berger, Jerzy Dudek, Stephane Henchoz, Jason McAteer, Vladimir Smicer, David Thompson, Sander Westerveld, John Aldridge, John Arne Riise, Phil Babb and Jamie Carragher. LFC ambassador Robbie Fowler will captain the Reds side with the hope of claiming victory in front of the Kop, while the club’s all-time record goalscorer, Ian Rush, will act as player-manager for the team. All proceeds from the match will go to the LFC Foundation - the club’s official charity. Funds raised will support the charity’s programmes and partnerships, which aim to improve the health and life chances of children and young people in Merseyside and beyond. Andrea Cooper, head of the LFC Foundation, added: “We are delighted that Steven will be joining us for the first official Legends game to be held at Anfield. It promises to be a fantastic day for all involved. Tickets for the game are priced at £20 for adults and £5 for juniors. To purchase tickets please visit: http://www.liverpoolfc.com/tickets/tickets-availability. Hospitality starts from £50 per person. Call 0151 264 2222 for details, or visit: https://bookings.liverpoolfc.com/events/events.htm.